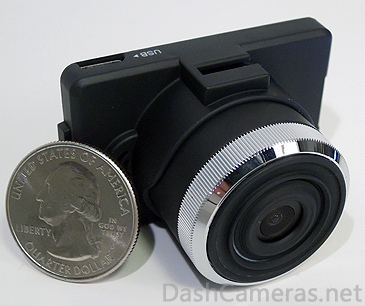 Review: "Worlds Smallest Dash Cam"
Conbrov calls the T17 the smallest dash cam in the world. 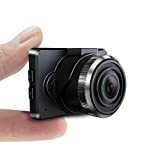 We’re not sure this is truly the smallest dash camera in the entire world, but it is surely one of the smallest car cams we have seen or reviewed. Even when adorned in a matte black coating and stuck in the smallest nook of your dashboard, dash cams are generally quite noticeable to those looking through your windscreen. 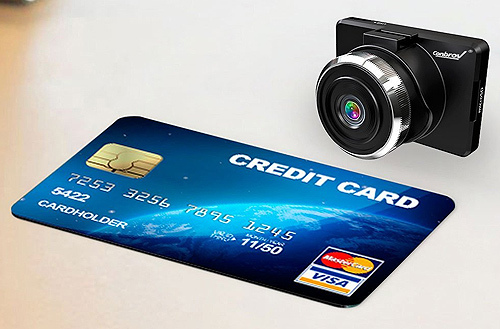 This could pose as a risk for those living in more dangerous areas as a neat camera makes an easy picking for thieves. Conbrov has a solution: Make the camera so small that nobody will see it in the first place. Open up the box and you’ll find a card reader, pin, car bracket, some charging cables and the necessary literature. Also included is a twelve month warranty. Oh, and the T17 is somewhere in there as well. There’s no SD card included, so you’ll have to pick one up. This camera supports up to 32GB of storage. Its recommended that you pick up a class 10 microSD or higher to avoid stuttering videos and painful file transfer times. Setting it up is a quick and easy process. Simply insert an SD card, connect the camera to a power source via the included USB cable and you’re off. The camera will automatically power up with your car in future use. One thing worth noting is that there’s no onboard power source, so the T17 does need to stay plugged in to work. But to avoid data loss, the USB charger does have a built-in battery, providing an uninterrupted power supply to the camera. As mentioned above, the T17 is an impressively compact device. The camera lens is over five times as thick as the body its attached to and the 1.5 inch display takes up about 60% of the other side’s real estate. Next to the screen are some navigation buttons and not much else. The sides, which are about as thick as a modern smartphone, are where you’ll find the ports, slots and some more navigation keys. The T17 features a predominantly plastic casing coated in the standard matte black paint. The camera sensor is the only exception with a metallic grip around the lens. Despite it’s size, Conbrov’s dash cam is quite sturdy and will likely survive a hit or two without giving in. The buttons have a clicky, tactile feel. The mount up top is easily adjustable and can be turned 360 degrees to record passengers as well. Overall, the T17’s build quality is more than adequate for it’s price range. 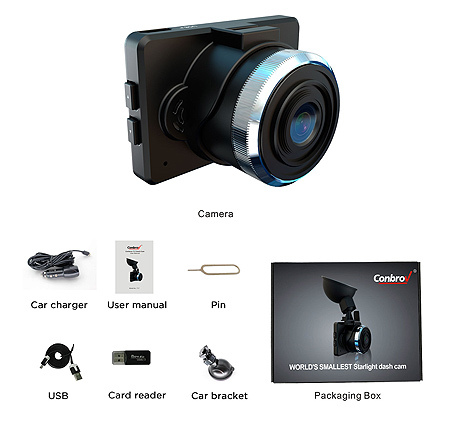 While little is mentioned in terms of the camera sensor’s specifications regarding aperture, field of view and other aspects that are usually included in this section of the review, Conbrov does state that the camera records video in 1080p resolution. In testing, this was apparent and its fair to say that for the T17’s price and size, its a fairly impressive performer in terms of video quality. Wide highways are fully visible and number plates are easy to make out – an important factor in dash cam video quality. There’s also a built-in night vision mode, which helps keep things going even in the darkest conditions. Here again number plates are purposefully over-exposed to remain visible and the hazy, noise-effect that usually plagues cameras with poor light sensitivity is not as apparent, making the T17 a capable performer at night. The built-in microphone handles audio rather well. Recordings can be heard loud and clear with no distortion when there’s a spike in volume. Conbrov has managed to fit a G-sensor inside the T17, which allows it to detect collisions. It will then immediately begin recording footage and locking it to prevent accidental deletion or data loss. This is an essential feature for all dash cams as they prove to be most useful in situations like these where the driver wouldn’t have the time or ability to manually begin recording footage. Loop recording comes standard as well, allowing the camera to continue recording for longer durations without eating up storage space. 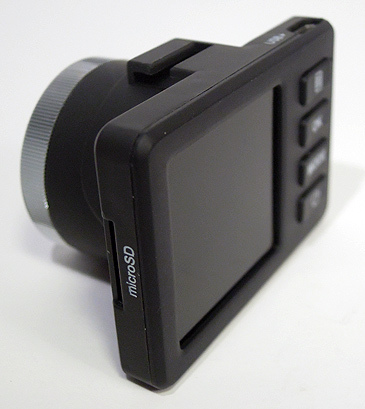 The built-in display, while small, is easy to make out and can be used to immediately playback footage. This can prove useful if you’ve been stopped by law enforcement or need to playback a recording that happened while you were away. There’s no additional software or apps included for the T17 so your only option for sending files off the device would be to remove the microSD card and transfer recordings onto your mobile device or computer. In the pursuit of creating a clean, simple and straightforward device that doesn’t rely on gimmicks to be sold, Conbrov hasn’t included much else in terms of special features or functions. For what it costs, this can only be viewed as a good thing. It has a great camera, an incredibly compact and sturdy build and a solid display. The T17 can be set up in less than two minutes and can be left for weeks on end without any maintenance from you. Its a great investment that can save you thousands of dollars in the long run.